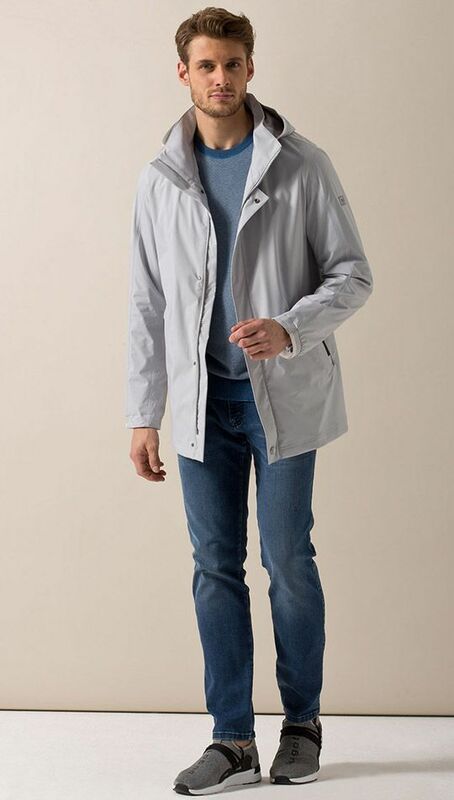 Experience functional wear in a totally new way with the new bugatti RAINSERIES range: This jacket is not only water-repellent but also a perfect example of modern casual chic, thanks to the clean design with sportswear-inspired cuffs. Combine it in a relaxed way with the new jumpers made from skin-friendly natural fibres and casual jeans. Sock sneakers add the perfect finish to the look and are also super comfortable to wear. Inspirations for a perfect bugatti look.